Last Monday we skipped our Trash to Treasure post in lieu of an international act of kindness - The Lonely Bouquet. This Monday, we're back on track! 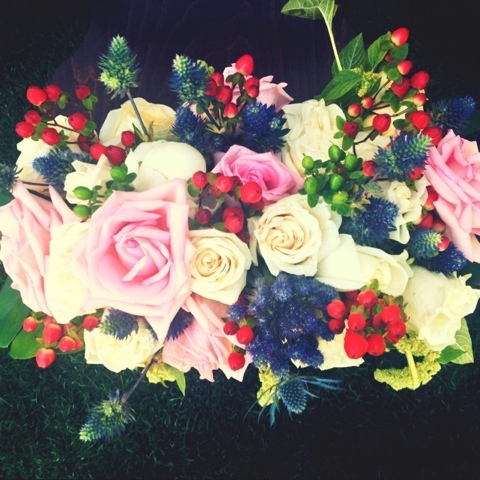 And this week we're sharing what Svetla created. Svetla is a gardener at heart - she's great with plants and and flowers and knows how to keep them green and growing! And what's even better? That talent and knowledge seeps into her design work at Soirée. 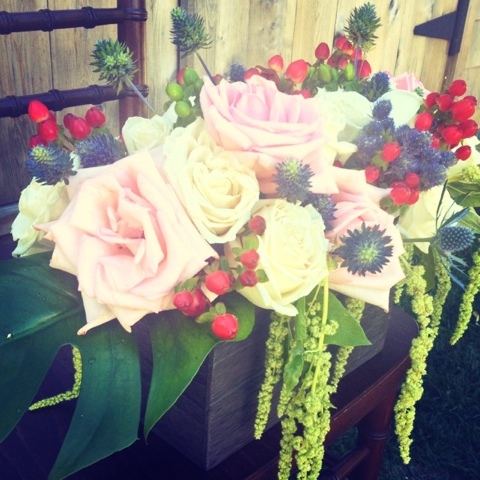 Svetla is always inspired by the gardens she maintains and is always eager to bring that inspiration into the studio when designing for weddings and events. 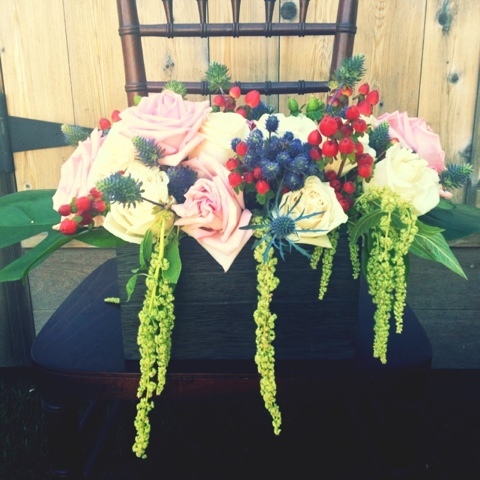 With some roses, sea holly, hypericum berries and hanging amaranthus - here's what she came up with!